Alke' consolidates its presence in Australia. 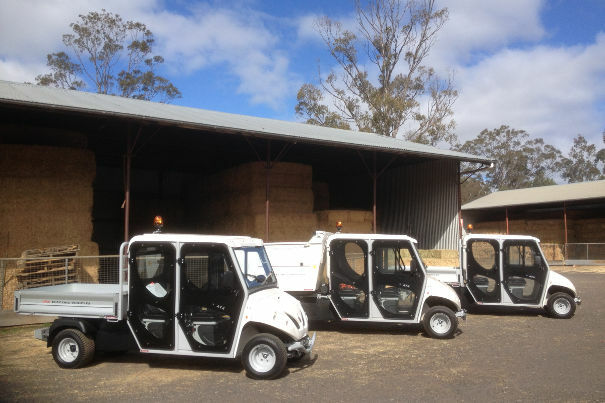 After the partnership with the Rangers of the Australian National Botanic Gardens in Canberra, the Taronga Open Plains Zoo in Dubbo has purchased three ATX230ED with a double cab, one with a tank for taking away waste and two with a cargo bed with drop sides. The Taronga Open Plains Zoo was designed to provide a comfortable and hospitable home to numerous species of animals, also large ones like elephants and antelopes. As we know, these animals need a lot of space to move around in. The zoo is on Newell Highway, west of Dubbo about 4 km from the city and is one Australia's most acclaimed tourist destinations. The zoo, moreover, is also the set of numerous television shows and wildlife documentaries. These features made Alke the best candidate for the partnership. Dubbo, in fact, is one of the most isolated regions in Australia, located more than 500 km from the coat and is the real Australian Outback. The area has some of the hardest, dusty and hot conditions in the world. Summer temperatures easily go over 45ºC, while in winter the area is hit by heavy storms, mini hurricanes and torrential rains that can cause flooding. The zoo meets its electrical requirements thanks to a large network of solar power systems, so the use of electric vehicles is the ideal solution. 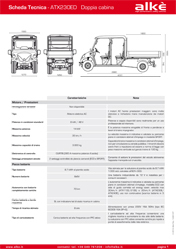 The ATX230ED, with a range of 70 km, can transport up to 4 operators. The Alkè electric utility vehicles for zoos have a load capacity of 720 kg, reach a speed of 35km/h and can cross steep terrain, even with slopes of more than 30%. What are the uses of the electric utility vehicles for zoos? 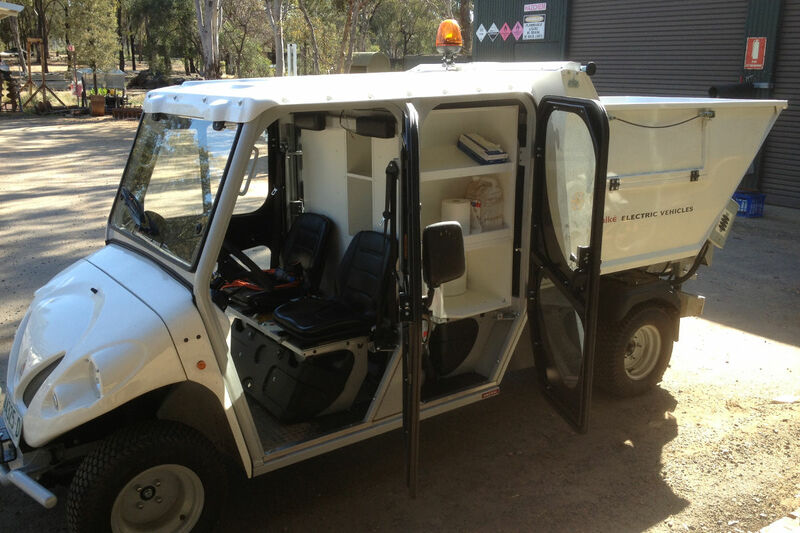 The Alke' electric utility vehicle for zoos are used in various ways within the structure. Two were made available to the zoo keepers for use inside enclosures and pens for feeding the animals, for the maintenance of the natural areas and the structures, for providing healthcare for the animals in situ or, in the event of a medical emergency, for transportation to a veterinary clinic. The third vehicle, fitted with a tank for taking away waste, is used for facility management and has been fitted out with lockers in the cab compartment for storing material. 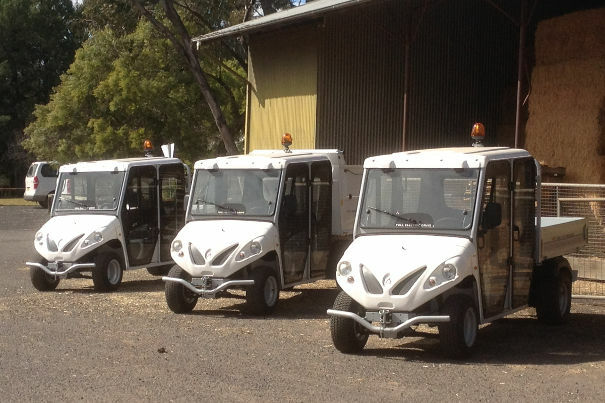 All three zero emissions vehicles for zoos are subject to intensive work loads, namely shifts of 8 to 10 hours in harsh climatic conditions, for 365 days a year. The Taronga Open Plains Zoo, in fact, never closes, and has its peak visits during the holidays and at the weekend. To give an idea about the intensive use to which the vehicles are subjected, just think that in just 14 days from delivery one of the ATX230ED had travelled 600 km. The Alke' electric vehicles for zoos can also be adapted to the requirements of the customer, a team of Alke professionals is always available for advice and for designing the most suitable vehicle for the customer's needs.